Disclaimer – I wanted to reverse engineer or “hack” Instagram. So I spent over 200 hours going “All In” between 7 different accounts and so many videos and blogs in order to find how to grow my following. The following blog post is the result of my research. Because everyone is different and our followings are no different, I need you to understand that there are no guarantees for success on Instagram. ***Results are not typical & No Guarantees Promised*** This blog post is for educational purposes only. Also, keep in mind this is an always growing guide. So be sure to check back as I will be updating this frequently. Before we get started I want to let you in on a secret… Instagram is a “MOBILE” platform! So, the steps in creating an Instagram account is going to be on mobile. Grab your phone and follow along if you do not have an account yet. (Screenshots are taken from iPhone) It will ask you if you want to allow notifications, I’d recommend it. Obviously, you will need to download the app onto your device. To make this uniform we are going to use “SignUp with phone or email”. Next screen you’ll enter your email address and click next. Then you will enter your name and desired password. After you hit next, the next screen is where you select your username. The different parts of your Instagram profile. First thing’s first, your profile picture. Please feel free to use the free Photoshop Instagram template I have put together for you to make sure your profile picture shows properly. You want to make sure your picture is centered and looks clear. Don’t hide your face if you are building a personal brand. The first field is for your name. But, hold on!! The “username” and “name” fields are the only thing that Instagram pulls from for the search feature. What Should I Put In My Instagram Bio? The first thing you need to do is to understand that you are limited to 150 characters. Be creative and get to the point. Remember, this is not searchable on Instagram so you don’t have to think about keywords for SEO purposes. Also, you cannot use @tags or #hashtags in your bio and have them linkable. So don’t waste the space. I recommend you write your bio in “Notes” so that you can use “Linebreaks” then be sure to test these 3 things. You may find all of them helpful or only 1 or 2 of them. Use emoji’s – Don’t forget that people are playful by nature. Use emoji’s and feed into their inner kid. Add a CTA (Call to Action) to turn on notifications. – If they turn on notifications they are your target market and you will see fast interaction with them. These are what I like to call “Brand Ambassadors” They will help you grow your business. Use the last line for CTA (Click On Link). Have fun with this and use your creative side. Here are some examples of good bios on Instagram. When you are growing your business with Instagram, you will want to have a live link. There is a trick here. USE IT! Some experts debate back and forth on the use of the “bio link” on Instagram. Some will say to only use a domain with a redirect or link shorteners so that you can track the traffic exclusively through Instagram. If you are wanting to track that then by all means … go for it. I personally would say to put together something exclusive for your followers on Instagram. Currently, as I write this, mine is this Ultimate Guide to Instagram. Note: While it sounds like a good idea to put Hashtags (We’ll cover them below) in your bio. They are not clickable or searchable so save those characters. The link can lead to a blog post, a landing page, a video or anything really. Some people will change the link randomly as they publish new content on their blog or somewhere else. The main thing to understand is that you cannot link out from the individual posts on Instagram. So, this is the one and only link you get. Make It Count! This is my own Ultimate Guide to Instagram, so I feel obligated to tell you that this may be the most important thing when you make an Instagram account. It is simple … TURN IT ON!!! This will give you analytics that will help you understand what is working and what your followers want. In order to turn on the Instagram Business Tools, you will need to pair your Instagram account with your Facebook profile and then to your Facebook page. From the information you get, you can post when your followers are online and active the most. How many impressions you are getting – The total number of times all of your posts have been seen. How large is your Reach – The number of unique accounts that have seen any of your posts. Followers Hours – Average times your followers are on Instagram on a typical day. Followers Days – The days of the week when your followers are most active. Category – If you want to change the category on Instagram you will need to make the changes on your Facebook Page. Contact Information – The information you list here will allow people to email, call, or get directions, by pressing a button on your profile. I’ve Created an Instagram Profile Now What? Well, the easy answer is just to get started using it. But I am not going to count that as an answer. Let’s look at the things you need to know before you post to Instagram. First thing’s first, what is your Instagram account for? Are you wanting to build a personal brand? Want to build awareness around a non-profit? Honestly, I was big on WordPress and when I heard about “themes” on Insta I was thinking the wrong thing. Basically, a theme is just the general look of the pictures and videos that you post. What do I post on Instagram? Well, you can post pictures and video. What kind of pictures and video should you post? When it comes to posting pictures on Instagram you want to be sure that you are sharing quality content. You are not limited to selfies! You can use many different types of posts or pictures on Instagram. Here are some ideas for what to post on Instagram. – A selfie is a picture that you take of yourself that is typically taken with your smartphone. Some people use what is called a “selfie stick” which will extend the distance between you and the phone/camera while still allowing you to capture the photo. – using behind the scenes shots will allow you to make your brand move beyond just being a logo and humanizes it. 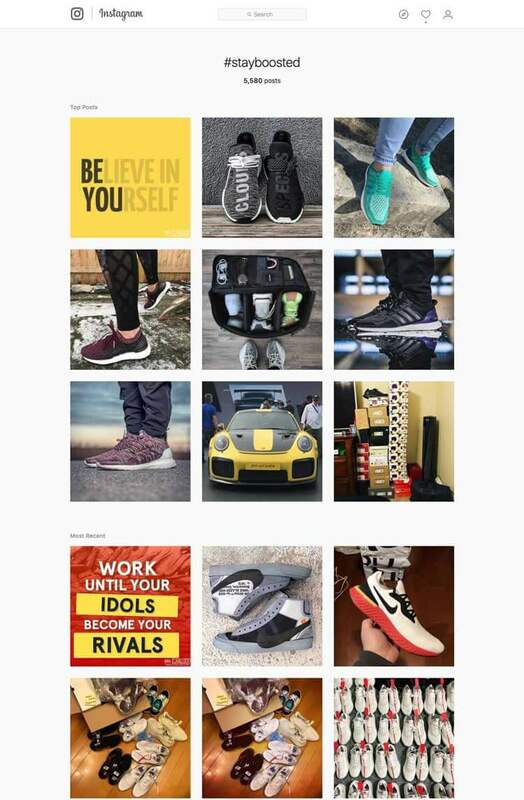 – if your customers and followers are posting pictures of you or your brand you can repost them and show that you care and want to listen to your following. This can be a picture of your product by itself or it can be a picture of a customer using it. If you are lucky enough this could be an “Influencer” or a person with a big following online. – This is one of my personal favorites. But, that is because I’ve been obsessed with quotes since 2003. These will get decent interaction but you need to find a way to stand out. A lot of people posts quotes on Instagram. – If you are in construction, set up a tripod with your phone and post a time-lapse video of your crew completing a task. Or record your screen and time-lapse your work. There are a lot of different uses for Timelapse video. Learn how stock photos work and some other cool stuff here. hashtag – (hash·tag): A single word or phrase preceded by a hash mark or for us un-hip people the pound sign (#), used within a caption or comment inside of Instagram, to identify a keyword or topic of interest and then you can do a search for it. NOTE: hashtags are linked to the date and time the image post was originally posted on Instagram. So whenever a user adds a hashtag to their post, it is immediately “indexed” by Instagram and then becomes searchable by other users. Once someone clicks on that hashtag, they’ll be brought to a page that aggregates all of the posts with the same hashtagged keyword in real-time. Once a keyword picks up enough momentum it becomes known as “trending.” Trending is more than simply a matter of becoming the most popular hashtag on Instagram. Each users’ trending topics is different based on their location and social connections. When you are searching or looking through the “Explore tab” for specific “hashtags” it will be broken into 2 different sections (If the hashtag has enough posts under it) & those are “Top Posts” & “Most Recent”. Before we go into the “Explore Page” I thought I’d cover some of the Top Hashtags for Instagram. Before I get deep into some of the top hashtags I want to let you know that you shouldn’t always use a hashtag just because it is popular or trending. Using a trending hashtag without an understanding of what the hashtag is for you may find yourself with a PR nightmare. The following are some of the top hashtags for Instagram. While I have listed the top 100 hashtags for getting likes on Instagram, please keep in mind that you may need to look deeper into hashtags that are relevant to your brand. Now that we’ve covered some of the top Instagram Hashtags I’m going to cover the explore page. This is the 9 most active posts using that hashtag. This is similar to the front page of a “Google Search”. Get your post on the Top Posts of the Explore Tab and you can watch a post that normally would’ve received 0 comments and 26 likes on a solid piece of content that now gets 1,239 likes and 24 comments. All posts show up here, ALL! So keep in mind if you’re using a trending #hashtag then it may not show up if a million people just posted using the same hashtag. Now that you have an understanding of the platform, let’s cover the process of posting and choosing filters. What filter should I use on Instagram? Well, the thing to understand is that there are 19 filters but you have to find your favorite! If I were to give you an answer, personally, I would say … None of them! I recommend everyone play with the “Edit” settings within Instagram and have a basic list of settings that you can do on all of your photos so that you don’t blend in. Basically, if you tap on “Edit” under the filters you will see 13 different settings and you can get most of your edits done here the way you want them. Bonus Tip #1: Always use a watermark. I personally can tell you from experience, there is no more pain than putting time into creating an image that someone steals and goes viral (yes, viral, as in 1.2million likes & 300k shares.) then you realize you didn’t watermark it and the person who re-posted it did not give credit to you … USE A WATERMARK! You can also use one of many FREE apps to edit your Instagram posts. If you are needing apps to edit pictures for Instagram … check out this blog post by iPhone Photography School! So I have done hours and hours of research and split testing to ensure I know the right size of picture/ image or video to post to Instagram. Honestly, I found Instagram recommends and automatically makes most pictures 1080 x 1080. That works! But, what I found is you can hit the “expand” button while choosing your content to make it taller and if you do that, 1080 x 1350 is a perfect size! 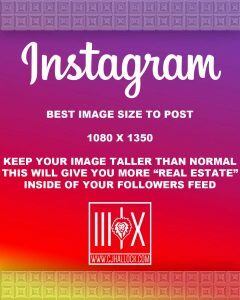 This will allow you to take up more “Real Estate” inside of your followers feeds and will crop to 1080 x 1080 for your profile. FREE Instagram Post Template I made for you. NOTE: Within Instagram, you are limited to 30 hashtags that are “Linked” to that hashtag’s explore page. Yes, you want to include hashtags but you need to decide if you want to use all of your hashtags here or just 2-5 and then posting the rest in the comment section. I use both of these methods & have been split testing this across all of my accounts, researched many others and have found it to vary a lot, depending on the market. Some accounts post all their hashtags in the caption and never post them in comments. Others post 2-5 in the caption and another 15 or so in the comments. I’ve also seen some not post one hashtag in their captions but putting 28-30 in a comment directly after posting the content. Some accounts post all their hashtags in the caption and never post them in comments. Others post 2-5 in the caption and another 15 or so in the comments. I’ve also seen some not post one hashtag in their captions but putting 28-30 in a comment directly after posting the content. The reason for this is that it makes the hashtags not visible until someone clicks on “view comments” so it looks “less spammy” according to some users. The next thing I recommend and have found to be a useful tip for Instagram is to tag yourself within the caption. For example, I use a CTA (Call To Action) to follow me. Next thing you may want to consider when it comes to your caption. How to add “line breaks” or just get the return button to show up on Instagram so you can keep it looking clean and not like one 5,000 character mess. You do this by simply hitting the “123” button on the bottom left of your keyboard and when it changes to show the numbers and symbols you will see the return button show up. Another thing you can do is to tag people in your description. If you are going to do this you will want to make sure you only tag people for a GOOD reason. Not just to get a few likes. For example, if you are posting a picture of you and Gary Vaynerchuk. Then, by all means, @Tag him in your description. Or if you want to share a Quote Card, all good. An Instagram Tip I’ve Used: If you post quote cards (By the way if you want to learn how to make quote cards Check Out This Tutorial) I would recommend finding the accounts that are associated with the quote and/or the person who said it. For example, I recently shared a quote by Oprah Winfrey and @Tagged her and within the first 20 minutes I posted it I got 6 new followers and that post was easily over 1,000 likes. When posting your captions keep in mind you cannot post URLs inside of your caption. That does not mean you cannot have a “Call to Action” inside of your caption. There are a lot of different ways to include a CTA or call to action. The Link in Bio – If you are posting a picture of a product or to spotlight a blog post you can include a CTA by saying something like: Get our one of a kind fidget spinner – Link in Bio. Of course, you would want to make sure if you are talking about a new blog post that you put the actual link you want people to visit from your bio. Not just the primary domain. When it comes to “checking in” there are a few things to look into. The first thing you should think about is if you want to “post” or “check-in” while you are on location. Or if you want to post later. When it comes to the thought of “If you check in people will know where you are”, thought process, taking the picture and posting it later allows you to not give your location away. You can ask 10 people if you should post or not while you are at the coffee shop and you will get 10 different answers. Use your own judgment when it comes to posting and “checking in” on Instagram. The next thing you should look at is where do you check in. A lot of people will only check in when the picture was taken at a specific location. I, on the other hand, always “check in”. But, I don’t always check in where I am. What I mean by that is sometimes I check into my town/city or sometimes I’ll check into my state. The thing to think about is the popularity of the location you are checking into. If you check-in to a location that gets one or two check-ins per week then you will remain in the current photos for that location for a while. That means you will be able to be discovered if your images are sharp. So you may get a few followers this way. Where, if you check-in the state of TN you may have thousands of photos geotagged per day so the chances of getting discovered that way are slim to none. Depending on what your target market is, you may find that geotagging will get you, high engaged followers. If you are looking at building a national brand you may find you don’t need to check-in to the local coffee shop. Once again, I cannot say it enough, the only way to completely do everything right (for your account) is to split test everything you do. Ok, this is a touchy subject. Because I don’t believe there is a magic number. Some experts will tell you to post 2-3 times per day others will say 1 per day is perfect. I have found, yet again, split testing with your followers is the best way to find this number. More important than how often you post is the consistency that you do post. 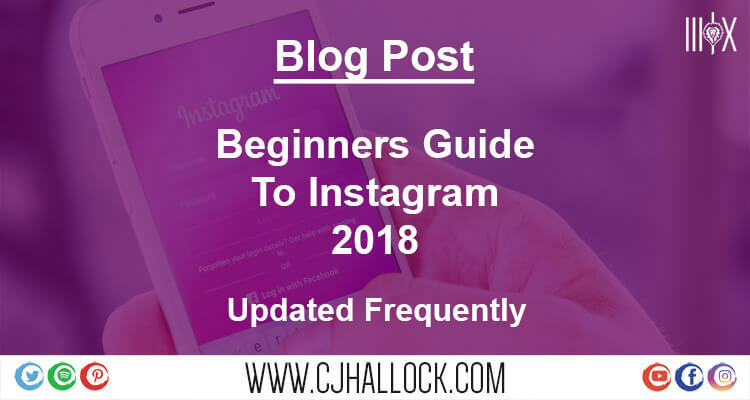 If you plan to build a successful Instagram account, you will find that it is easiest when you are consistent. So if you plan on posting throughout your day and documenting a lot, I’d say just post as you document. But if you are wanting a “Content Calendar” or “Posting Calendar” and a precise number, I’d say it would be best to find what works for you and your followers. Once you find something that you can do … stick with it!!! What I mean by that is decide on a round number. Let’s say you decide to post to Instagram 6 times per day. If that is the case, you need to be sure that you post 6 times per day. Instagram accounts that post counts vary can see a drop in followers. If your followers follow you and you’re posting three times a day for a few weeks and you get on a roll and post 23 times in one day they may unfollow you for clogging up their feed. Remember your posts are for your followers, not for you. So keep that in mind as you decide how many times you post on Instagram. This is another, somewhat, touchy subject. Some people say under no circumstance should you repost other people’s posts. Honestly, if you ask me I say you can as long as you credit the author/original content. How Do I Repost Instagram Posts? I’m going to be blunt … download the app! It is really easy to use. Simply put, you go to the image you want to post and click on the 3 dots in the top right-hand corner and copy the URL. Then open the Repost App and it should read the link you copied and it will automatically add a watermark with the original account information. Then it will copy the original caption with the users handle and everything so you can open it in Instagram and then repost. Disclaimer: if you plan on using the “Repost” strategy please use original content as well and don’t make your entire account about reposting what other people post. Eventually, you could lose what you have to the original accounts you are re-posting and see your follower count & engagement drop. Now that we are getting into the video side of Instagram, you need to know there are 3 different places you can use video. The first type of videos is a regular post. Posting this way is limited to only 60-second videos. There is no regulation or requirement for the resolution size or the orientation of the camera. But, that being said, I want you to understand that people view Instagram almost exclusively on mobile. So you will want to make the video for mobile. You can do this by either recording the video natively with the app or you can use a professional editing software like Adobe Premiere Pro. I have recently found the “Taking Photos” that allows me to add an image and do a voice-over to it. So using this method you can use the Instagram Post Photoshop Template listed above to create the image and that way it will take up most of their screen as they go through their feed. Just keep your eye on the timer and be sure not to go over 60 seconds. So, as you prep for your lives keep in mind if you are talking you are only talking to the people who are watching live. That means as you are getting started you need to remember that it will take a while till you build a following that will be tuning in with large audience numbers. It takes time. Don’t stress the viewers. One is better than None!!! 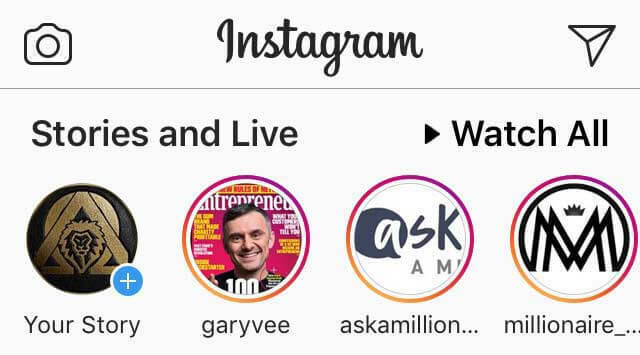 The screenshot above is of the Instagram Stories and the Instagram Live section of the Instagram App. I needed to include live here but if you are wanting the Instagram Live Tips you should check above. There are many different things that you can do with Instagram stories. Before I get too deep into what all you can do with it I want to let you know the fundamentals of Instagram Stories. Stories that are “Video” are Limited to 10 Seconds – Keep this in mind so you don’t plan a 60-second post. Add to Your Instagram Story – While a picture or video can be great, Instagram has a feature that lets you add to it. With tools like Text, Pens, and Stickers you can do a lot of things. If your story has something to do with another Instagram user, you can use the text feature and @Tag them and the Text with their name will become a link that points to their profile. 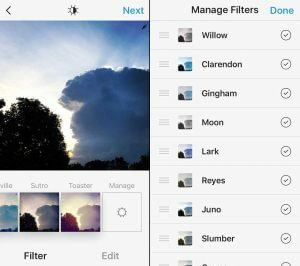 Filter Your Story – Instagram started the “Filter” game within social media and it is only right that they added the filters to the story feature. In order to see the filters, simply swipe from left to right once you have taken your photo within the Instagram app. In order to share a story, simply swipe from left to right from the home tab or tap on the camera in the upper left-hand corner of your screen. If you want to get back to the home page from the camera, just swipe right to left. Within the camera part of the app, you can tap on the screen to focus the picture. Then when you are ready to take the photograph you can simply tap the shutter button. Once you take your chosen picture you want to post to your story you then can add drawings, text, emojis, stickers, or even @Tag someone. When you are ready to share your story, you will have 3 options … the first is to “save story” which saves the picture with your text and everything else you added if you did. The second option is to post to “Your Story”. This does just that … it posts the story. The last option is a “Next” button. If you click on this you will be able to either post your pic to your story or send it as a DM (Direct Message, we will cover more on this in a second.) to a friend. Let’s start with the basics of the DM. This is a way to not only “text” back and forth privately on Instagram. It is also a way to share images you took and/or found, hashtags and a lot more inside of the Instagram App. There are basically 4 ways to send a DM on Instagram. Send via “Posting” platform via “Direct”. So, you took a picture and now that you have it looking amazing as always you can choose to post normally, or you can select “Direct” at the top of the screen and this will send the image and caption as a Direct Message to who you choose. Send via inbox – This is one of my favorite ways to message because it is just messaging because not all of my conversations are around images. There are two ways to send DM’s without “sharing” if you will, and that is by clicking on the paper plane in the top right-hand corner of the screen. This is your Direct Message Inbox on Instagram. From here you can tap the + sign and select who you want to message and go from there. The other way is to simply go to the person’s profile you wish to message and click on “message”. Sharing area or hashtags with Direct Message – if you have done a search within the Explore tab on Instagram for an area or hashtag, and want to share what you found you can do that. All you have to do is tap on the paper plane in the right-hand corner of the search page and then choose who you wish to send it to. Now, there are a lot of things you could do with Instagram’s Direct Message feature. You are basically limited by your imagination. But, there are some great ways to network within the DM. I’m not going to bore you much with this. Instead, I thought I’d just share this video from Gary Vaynerchuk. Please pay attention to this video and especially the tip to “Give Value”. This is very powerful and could grow your business very fast. Another awesome thing that you can do is to send a personalized video inside of the DM simply saying thank you to your new followers. I’ve done this on Twitter here and there over the last few years especially once they opened video up. I started doing this randomly on Instagram about six months ago and without putting in much work I was able to build some solid relationships, that eventually either already has or will convert to business, in one way or another. What to do AFTER you post to Instagram? Engage! There are a lot of different things I can say but I’ll start with what I believe is most important. Engage! What I mean by that, as it pertains to after the post, is to engage with EVERYONE who comments and/or likes your post. Even if someone puts up a lion emoji, reply and thank them for the engagement. I like putting some of my Instagram posts onto a board on Pinterest to showcase my posts – Pin to share your link! If you aren’t sharing your hashtags in your caption … go post them as a comment, NOW!!! Now that we have covered most of the basics, I’m going to be sharing some of my favorite Instagram Hacks. This is a massive trick if you have a few hashtags that you use on a regular basis. If this is the case, it is very easy to do. How to add shortcuts to your keyboard on an iPhone. If you are on an iPhone you can do it like this. From your “Settings” app you need to tap on “General”. Then you will need to scroll down and click on “Keyboard”. Then you will click on “Text Replacement” … Tap + to add new shortcuts. Over the last few months, as I’ve done all this crazy research into Instagram, I have seen countless accounts that will let great opportunities to start a dialogue slip through the cracks. The sad thing is, they do that because they reply with a single emoji. Thank people for engagement and ask them a question or two and start a conversation within the comment sections. For example, if you post a quote and someone comments “Thanks for sharing this I needed it today” you can follow that with “@Username You are more than welcome! Glad I could help! What’s going on?” or “@Username You are more than welcome! Can I help with anything?” … The things you can do within the Instagram Comments is only limited to your imagination. You can clear your search history on Instagram by going to your profile and click on the gear in the upper right-hand corner to get to your Account Settings. So you are new on Instagram and need a quick push. You can reach out to your friends and/or influencers (using DM and offering value) and find ways to get other accounts that have a similar following to your target market, and get shoutouts. This tactic is a bit of a “Hail Mary”. I say that because most people value the power of their word. If I do a shout out I have to know the person is 100% an awesome person and truly knows what they’re talking about. Even with some of the bigger brands that sell shout outs, you will find they want to see what you post about and how you engage with your followers before they will even consider it. That being said, if you do grow a decent following (even as small as 100 followers) don’t do shout-outs or recommend anyone to follow unless you are willing to put your reputation on the line for that person. Essentially, that is what you are asking for when you want a bigger brand to tag you in a post and tell people to follow you. So this is a decent tactic but you will need to be active for a while and have some good content on your profile before anyone will give you a solid yes. This is an important change that Instagram has made. For years if you were wanting to build multiple brands on Instagram, you had to either get multiple devices or log out and back in every time, you wanted to post or engage. Luckily, Instagram has added a multiple account feature. Simply go to your account options by clicking on the gear on the upper right of your profile. Under the “Options” page if you scroll down to the last set of options you can click “Add Account” and just like that, you can manage multiple accounts at one time. All you need to do is tap on your name from your profile at the top of the page. You will see a small arrow next to your name. This is where you can change your accounts easily. How to post to Instagram from a PC or Mac? Here we go, the question most people have for Instagram. If you are one of the people who want to post from your computer, I have good news. You can do it and you can do it without having to buy any type of software! You will, however, need to use a free software. Disclaimer: I do not have any affiliation to Gramblr and cannot promise it will always work. So please do your own due diligence. 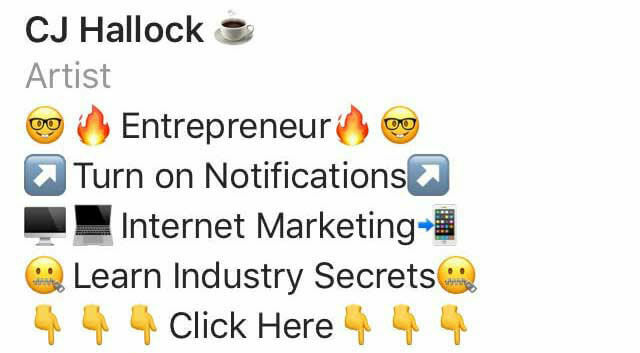 Before you jump straight to using the Gramblr software I need you to understand that there is a strong chance that you may not get the most impressions possible. Using a secondary app to post to social media sites has been rumored to cause a drop in impressions within the platforms. Now that we’ve covered that, let’s continue. There are a few things that you will need to know when it comes to Gramblr. • You can only manage one account at a time. If you wish to manage multiple accounts you will need to log out and back in. • It also offers a way to “buy” followers/likes … DO NOT DO THAT! It isn’t real and won’t help you grow. It will make it look like you’re growing but your true engagement will show drastically.